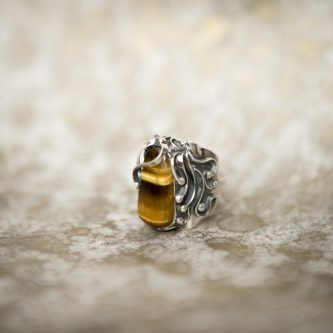 Tiger’s Eye teaches us how to discern truth in any situation. There is an ancient saying in Babylon: “The one who wears the tiger’s eye has an eye for truth and thus cannot be deceived.” Tiger’s eye serves the expanded understanding of your place in the world, your life cycle, and helps you to belong to your Soul Contract. It strengthens personal free will and power, rejecting any dependencies (emotional, mental and physical). This stone is a great containment for your energy.